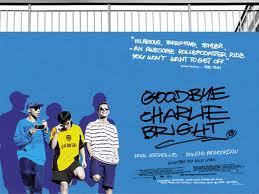 Movie Ramble: Goodbye Charlie Bright. Nick Loves debut film is like a who’s who of the BBC reality series Eastenders, stars past and present appear including Paul Nicholls, Phil Daniels, Jamie Foreman, Nicola Stapleton and Tameka Empson. Goodbye Charlie Bright (2001) was filmed in Bermondsey, South London and on the Cambridge Road Estate at Kingston-upon-Thames. 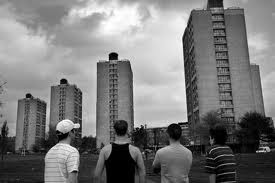 Written by Love it tells the story of a group of teenage boy living their lives on a south London council scheme, who brighten up their dismal existence by thieving, getting drunk, taking drugs and generally making a nuisance of them selves. It’s an estate on which the only way out seems to be by joining the armed forces and going off to killed or maimed for Queen and country. Even the adult members of this despairing community fail to emerge as any thing like role models. A familiar tale that we’ve all seen before, and to be honest done a lot better. Although well acted by its young cast it will never be a classic. Basically it lacks emotion and has not got the grittiness of say Andrea Arnolds Fish Tank (2009) or Ben Drew’s ill Manors (2012). A promising start for Love who went on the make football hooligan and lads films including his latest movie, the remake of The Sweeney (2012).